Simple layout.....Great clean.......Great overdrive..............Foot switchable channels that are tonally balanced. The Rock Head 50 is a channel switching version of our, big tone, hand wired amplifiers. 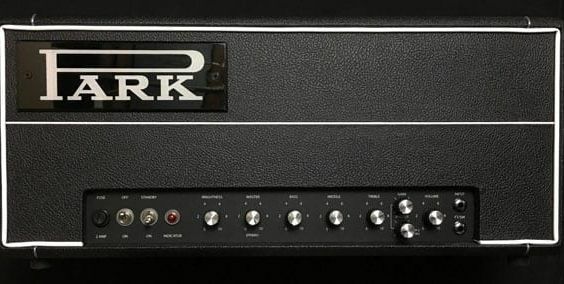 Based on the vintage Park Rock Head from the 1970s, the new Rock Head 50 offers what original 1970s Master Volume amps never offered; channel switching with both great clean and overdrive sounds with independent level control. The Rock Head 50 is capable of beautiful, sparkling clean tones, overdriven blues from a hint of OD to full-blown OD and classic rock sounds; all at any volume level. Belying its simple control layout, the RH50 has some clever circuitry which allows it to perform its magic. Using the PPIMV (Post Phase Inverter Master Volume), the clean channel offers a variety of clean tones in addition to moderate crunch. It's great for overdriven chords. Unlike most amps with a “high gain” OD channel, the Rock Head’s OD channel’s can be used as a second clean channel or produce bluesy overdrive to classic rock with just Gain and Master controls and no extra gain switches. Curious?..............There's more to the amp than its front panel would indicate. Also included are three push-pull pots for the following functions: Clean channel Bright switch, OD channel "Mellow" switch and OD channel "Aggressive" switch. By using the two OD channel push-pull pots this channel is capable of everything from a warm bluesy overdrive to a 1980s Master Volume type crunch to aggressive lead distortion. Features include Volume, Bright Switch, Treble, Mid, Bass, Brightness, Gain, Master, EL34 power tubes, a 12AX7 driven preamp with switchable cascaded gain channel, cathode follower tone stack, passive series effects loop and overall post phase inverter master volume (PPIMV). 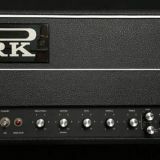 The Park Rock Head 50 offers full bodied sound, superior tonality and feel with two foot switchable channels. Hand wiring offers ease of servicing, longest life and reliability, plus it’s welded chassis is strong and lightweight.